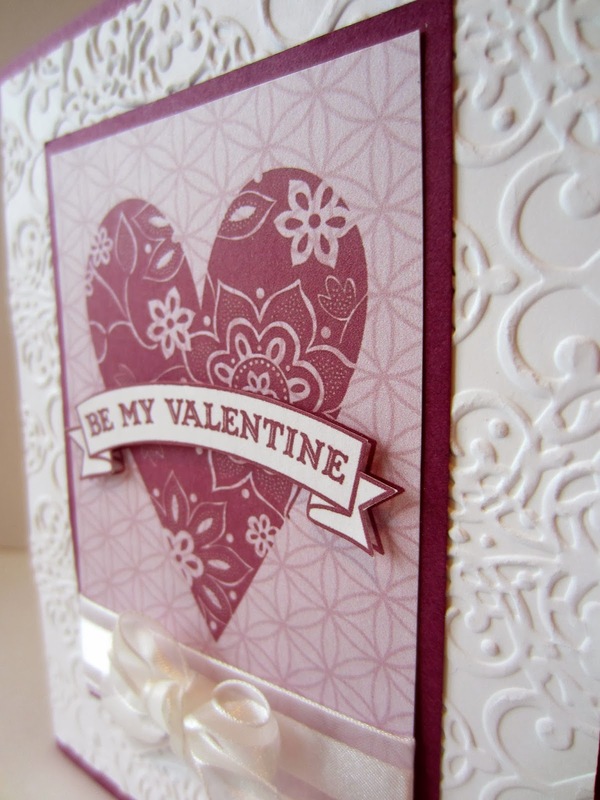 At my Stamp-In workshop this week, the girls made these Valentines. So I thought I'd send one to YOU too! I designed the focal point of the card in MDS, then printed it out twice. The first time was the heart against the pretty Rich Razzleberry DSP background. I printed it once again, but this time, with no background so the banner was white outlined in Rich Razzleberry. 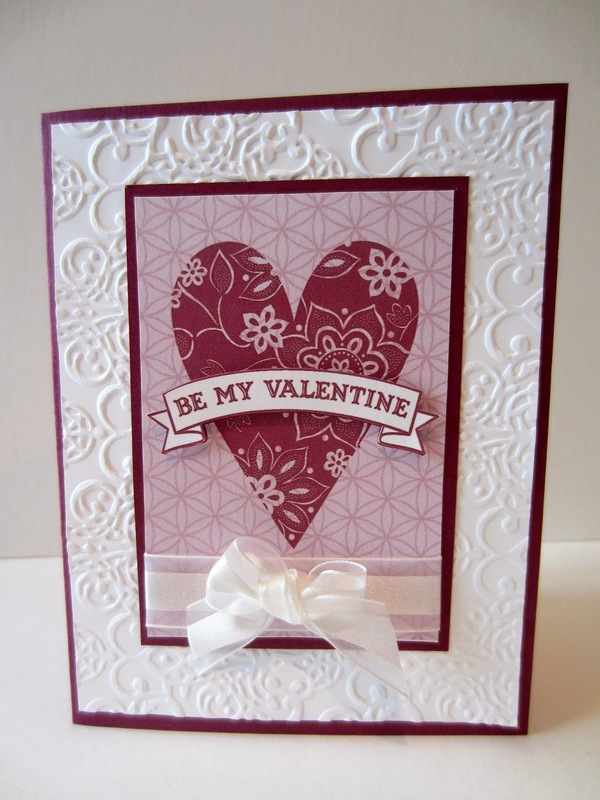 We cut the image and its background to size and mounted it to a piece of Rich Razzleberry cardstock.. That was then adhered to the pretty embossed background in Whisper White, then mounted to a Rich Razzleberry card base. The banner was carefully cut out and popped up over its counterpart on the patterned heart. The finishing touch was a classy fork bow created with our White Organza Ribbon. I hope your Valentine's Day is filled with hearts, kindness and love! ENJOY! Oh you're a brat! I guess now I need MDS. I didn't know the hearts were done on the puter. Your cards are works of art! Love seeing what you come up with each week. Your cards are so pretty! have a wonderful weekend! Beautiful card, Linda! Thank you for contributing to our party. Hope to seeing you again later today with more ideas!